Everybody has a Story and Your Story Matters. And when you learn to uncover the magic of your experiences and tell them in a specific way, you have the ability to change lives. Today’s guest is a student of the Transformational Story Selling workshop. She’s a dentist from New Zeeland, and when she uncovered the magic of her story, the very first time she shared it on stage, she got rave reviews and booked immediately for the second gig. If you think that you have a story brewing somewhere in your life’s experience, you’re not going to want to miss today’s guest. 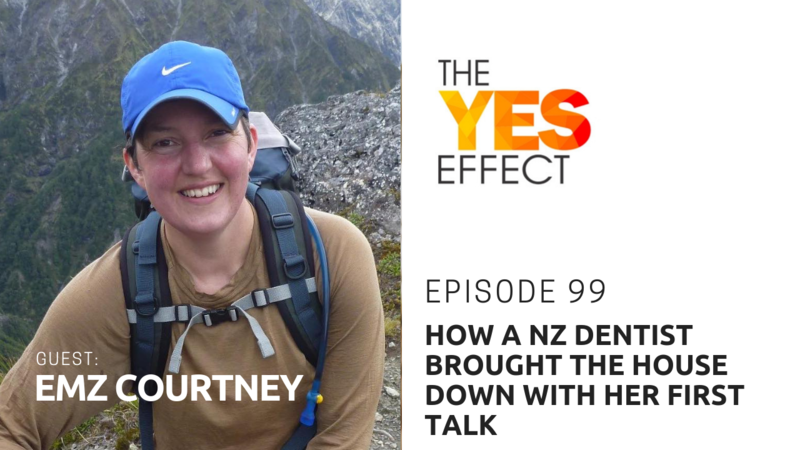 Her name is Emz Courtney and this is The YES Effect show! Emz lives and works in Christchurch. Outside of dentistry, she is a wife, mum, personal trainer, personal training tutor, group fitness instructor, nutrition coach and sits on the advisory board for Fit Futures Academy. Her passion is developing awareness of stress management within the profession. She believes we all have the ability to thrive not just survive in our careers.